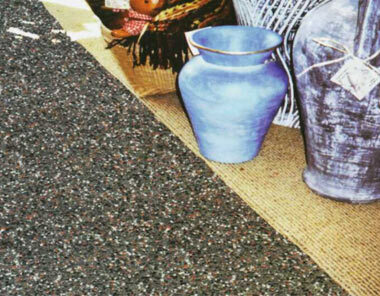 Decorative, Stone floor Finish for both interior and exterior use. Quartzzite is a 5mm stone flooring bound with colour stable epoxy resins. It provides a very attractive, coloured, natural quartz stone finish for use in commercial, retail and residential premises where appearance, durability and low maintenance are important. The effect is only limited by the coloured chips or pebbles available. Custom colours can be created by blending available coloured quartz stones. Including residential, retail, commercial and light industrial areas. Nuplex will continue to support and recommend EC Flooring Contractors as capable and highly skilled applicators. 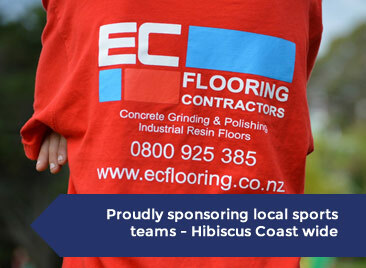 Our business is 100% Kiwi owned and operated and we have successfully been providing reliable flooring services since 2001. Our senior team have 25 years of flooring experience and we ensure all our team are highly skilled, honest and diligent when it comes to concrete polishing, grinding & preparation works and specialty industrial and commercial flooring applications.